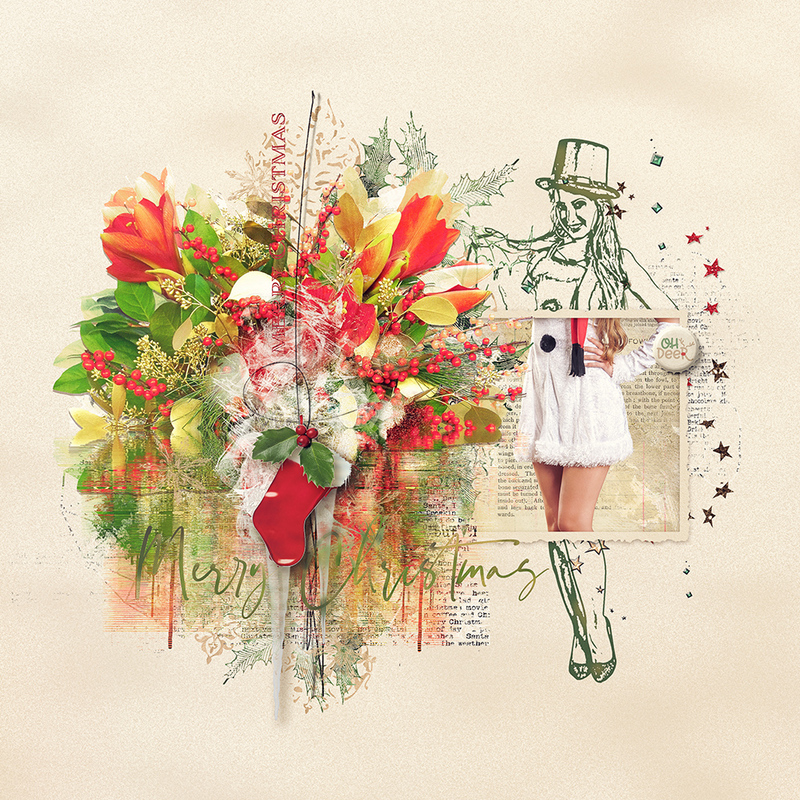 Marianne here to show you my layout using Joyous. Its is a joy indeed to see this beautiful December Collection. 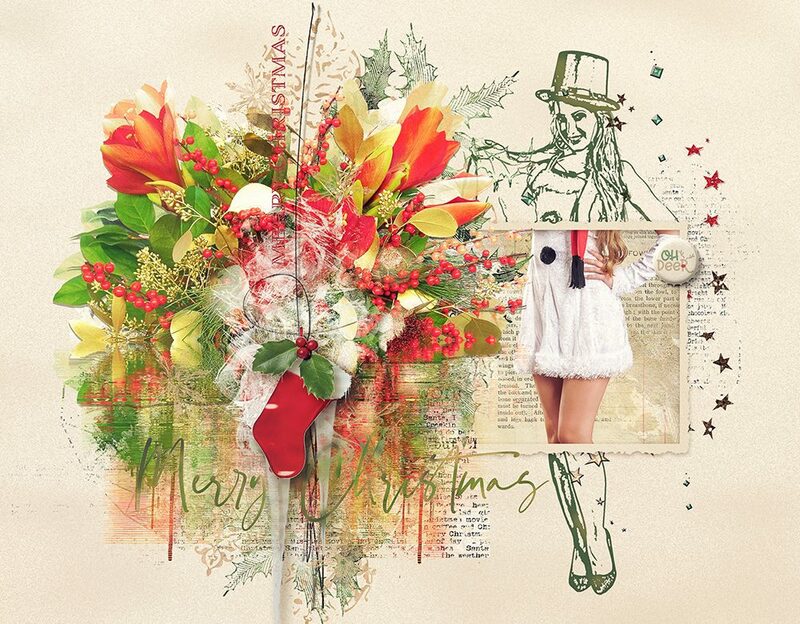 So great to scrap your seasonal layouts with it! I think there is something for every style! In my page I used 2 photo’s. One extracted one came on top. I clipped the photo of the flowers to different products of the Brushmix. The lady was sketched on a duplicate and her middelpart (the original photo) was framed!